Nicoletta Manni as Kitr and Leonid Sarafanov as Basilio. Australians are most familiar with Rudolf Nureyev’s production of Don Quixote, mounted on The Australian Ballet in 1970, and filmed in 1972 with the same star-studded cast lead by Nureyev and Lucette Aldous. Nureyev first created the ballet for the Vienna Opera Ballet in 1966, and it’s this version, first presented by La Scala Ballet in 1980, that the company is performing in Brisbane. 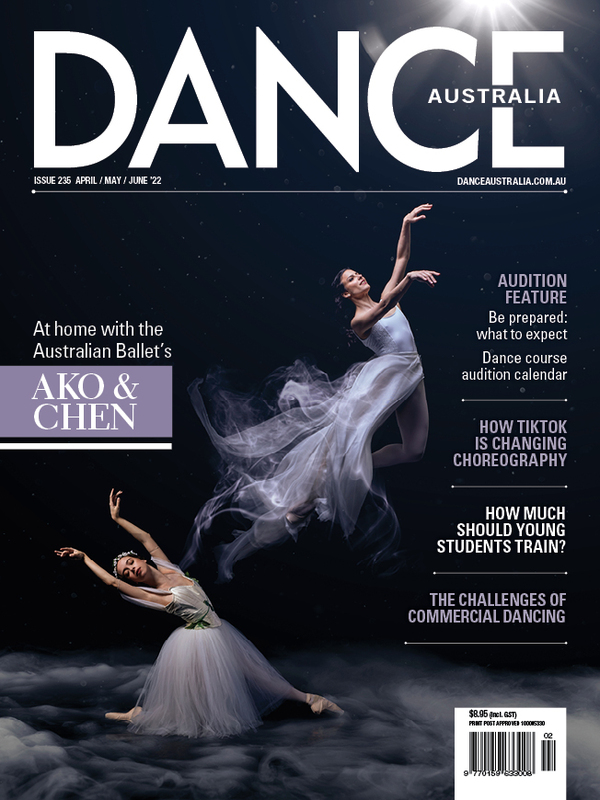 Therefore apart from small stylistic differences, the production is as we know it, and a wonderful choice to open La Scala’s first ever season in Australia, as it showcases the company as vibrant, energetic and accomplished. 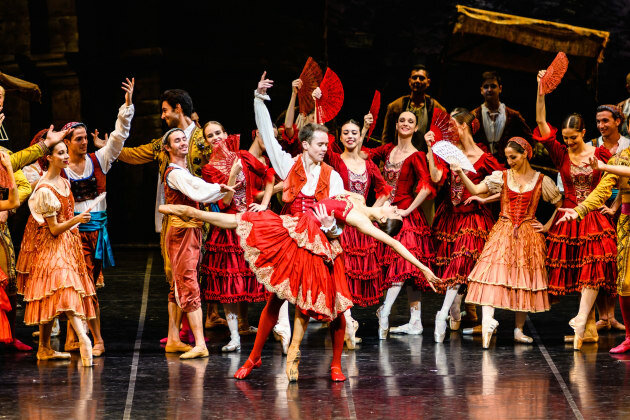 Excepting the dramatic Prologue, where Don Quixote first embarks on his quest with Sancho Panza to find Dulcinea, this ballet unabashedly celebrates the joy of dance. And the Italians threw themselves into it with abandon on opening night, delivering with style, panache and technical brilliance. Most noticeable was the uniformity and cohesion of the corps. Gloriously expansive port de bras, soaring elevation, and neat-as-a-pin footwork were universal across the company. Unsurprisingly Nureyev created strong roles for the men in the ballet, and both the Act 1 Matadors ­– tailored and precise ­– and Gypsies in Act 2, with their dazzling jumps and spins, were lively. 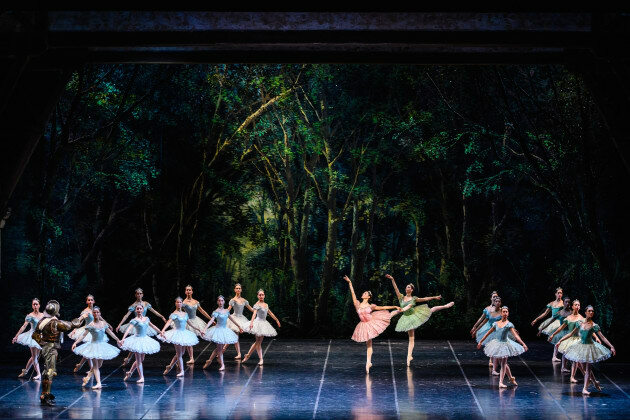 The dream scene of Act 2 was breathtaking; the dancers in tutus of soft pastel colours seeming to float, their courus were so seamless. Maria Celeste Losa as Queen of the Dryads (and later as the Bridesmaid) is a tall, strong dancer with impossibly high extensions and a sweeping, expansive quality to the upper body. Vittoria Valerio (Cupid), fine boned and petite, had the dazzling footwork essential for this short solo, while Nicoletta Manni was a flawless Dulcinea: effortless balances, immaculate footwork, and a soft, dreamy delivery that contrasted so strongly with her portrayal of Kitri. Manni and guest artist Leonid Sarafanov (as Basilio) made a stylish lead couple. Manni’s Kitri was everything one can expect. Lithe, supple and with an extraordinary jump and immaculate footwork, she oozed fiery charisma. Her opening variation was as abandoned – with its flying grand jetés en tournant to one knee – as her final Act 3 variation was an exercise in precision – her relevé passé sequence mesmerising for its superb control and attention to detail. Ukraine-born Sarafanov has a slender build, impeccable footwork and lovely elevation. He rose to the technical challenges of the role with soaring double cabrioles and a whipped ménage. He had less of the larrikin in him, however, than other famous interpretations, so his was a rather restrained Basilio, and at times Manni’s bold and flirtatious Kitri overshadowed his boyish charm. Nevertheless, their pas de deux were immaculate, although the one-handed presage lifts in Act 1 could have been sustained longer for that “wow” factor. The Act 3 pas de deux was majestic and its segue to the finale moments of the ballet had the audience on its feet. Some of the detail of the story line was not clearly expressed (for instance we never saw Basilio and Kitri escape at the end of Act 1) but the comedic elements were always well delivered, timed to the second and deliciously underplayed. Giuseppe Conte was a very statuesque, suitably befuddled Don Quixote – the perfect foil to Gianluca Schiavoni’s bumbling Sancho Panza. Riccardo Massimi played the arrogantly vain Gamache with the right amount of restraint, and Martina Arduino, with beautifully chiselled lines, sparkled as the Street Dancer. La Scala’s Don Quixote is visually splendid, echoing Goya’s 18th century Spain in sets by Raffaele Del Salvio and costumes by Anna Anni. Marco Filibeck’s lighting design enlivened the settings, while the Queensland Symphony Orchestra, under David Coleman, delivered a faultless interpretation of the John Lanchbery-arranged Minkus score. There were a couple of technical issues on opening night, with some noisy scene changes, but undoubtedly these are by now ironed out. Giselle opens this week, and we wait with anticipation to see a completely other side to this exciting company. Middle photo: Nicoletta Manni and Maria Celeste Losa as Dulcinea and the Queen of the Dryads.